Aging population is a trend that is seen in many countries around the world. With the population of senior citizens increasing while the availability of able bodied youth decreases, caring for them through conventional means might be impossible. While the more common solution involves hiring caretakers to take care of the senior citizen’s needs; this solution might not be the best in all possible scenarios. 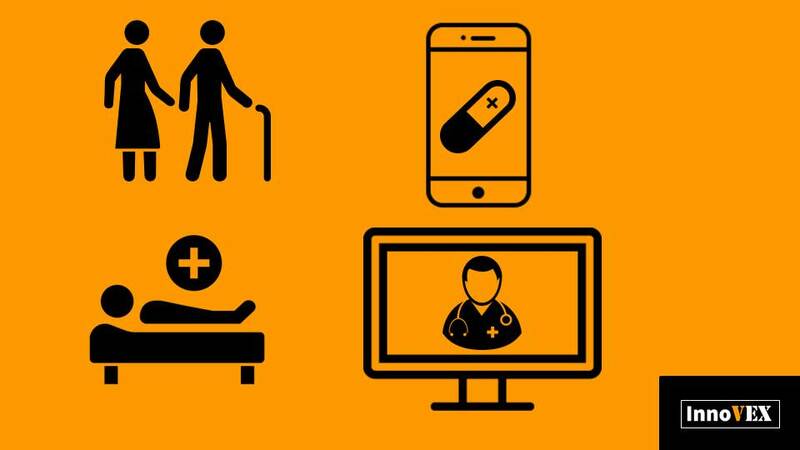 To make sure the senior citizens still retain their independence & mobility, but at the same time receiving the care they need; perhaps technology is the answer? Perhaps the least intrusive method; a digital assistant that reminds people for taking medications or doctor appointments is the method that retains their independence. Despite already available solutions such as agenda apps or similar reminders, there are still some issues to address to make sure it achieves maximum effect. Apps that rely on manual input and reaction will still face the issue of user negligence. Another issue is how to maintain a delicate balance of making the users’ lives more convenient, but overly intrusive on their daily life. With the many types of services needed by the different users, how should solution creators approach the issue? One solution that’s proposed by the InnoVEX 2018 exhibitor, New Ju Feng; whose i-MED app serves multiple function that a senior citizen might need; hospital registration, reminder, etc. An all-in-one app for healthcare still relies on manual input and response; but if the input process can be simplified and the user be reminded of their needed response, it should be better than a manual only approach. While people will definitely age, they don’t necessarily move their abode or domicile; either due to choice or circumstances. The problem will arise when a senior citizen live away from medical facilities and happen to face an emergency that demands immediate action. Perhaps an eHealth platform such as Karify; an international exhibitor from InnoVEX 2018; can help senior citizens connect with health professionals, get tailored treatment programs, and more. In an area where doctors are rare, but medicines are not; this method will be a great method to bridge the gap of supply and demand of medical professionals. In 2019, InnoVEX will be held from 29 to 31 May in TWTC Hall 1. More than just an exhibition, InnoVEX will feature forums, matchmaking sessions, pitch contest, demos, and networking opportunities. This year, the booth registration will end on January 25. Don’t forget to secure a booth as we're quickly running out of available spots. Interested startups can register to exhibit at InnoVEX 2019 here. In this InnoVEX Mini Saloon, we will discuss the latest developments, trends, and applications of the biotech & healthcare industries and explore their integration with ICT. We will also have 6 startups which will demo and showcase their related products & services. We welcome startups, VCs, investors, corporates, and everyone interested to join us!